I am easing myself back into crafting again slowly, after having spent the most wonderful time down at Indigoblu HQ doing a demonstrator course. I have learned sooo much in my time away, and brought back so many lovely new things to craft with and ideas for projects that I want to do, that I really don’t know where to start or what to make first! 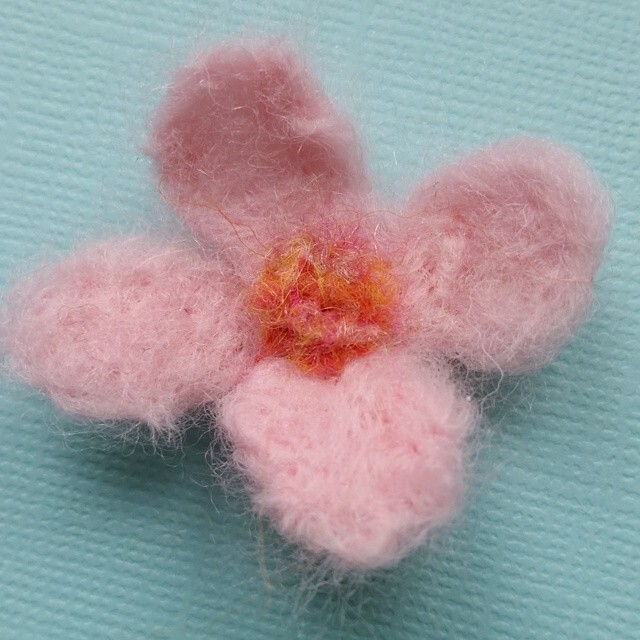 I decided to make a wee wooly flower from some gorgeous Merino wool, just to help me along the way 🙂 Love how it turned out and if I can perfect my technique and get them a wee bit skinnier, then I will make some cards with them. I am planning to head up to my shed after tea tonight and get started with making some projects for Indigoblu.. I have a Manequin torso and stand to finish. I also have the new christmas release stamps to play with and create a card for the Indigoblu challenge blog for this month, which is Christmas in July! Your felted projects absolutely warm my heart! This little flower is gorgeous! Thanks so much for posting! I look forward to seeing your mannequin torso soon!